Can be played anywhere (golf course, driving range, mini putt, etc.) as long as it involves swinging a golf club! Interested in hosting a Golf Fore the Cure event at your club? Interested in playing in a Golf Fore the Cure event? Subaru brings to the program a longstanding history with the Canadian Cancer Society and a focus on helping to maintain the best women’s grassroots golf program. As presenting partner of Golf Fore the Cure, Subaru Canada is just as passionate about keeping their customers happy and safe for long or short drives as they are about their customers’ well being outside of their Subaru vehicles! 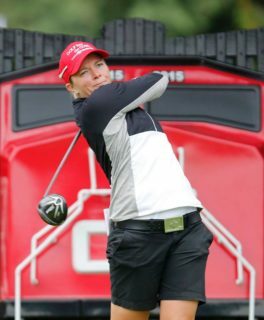 As part of their commitment to promoting healthy, active lifestyles through various sponsorships from coast to coast, Subaru Canada is proud to help grow the game of golf in Canada and stand alongside thousands of compassionate women across Canada to help make a difference in the fight against breast cancer. To show their appreciation for those involved, Subaru Canada is offering all participants a $750 rebate on the purchase or lease of any new Subaru vehicle, valid to redeem within 12 months of your event! Click the button below to download the rebate application form & contact gftc@golfcanada.ca to receive a Player Verification Letter to accompany your application. As a pink partner of Golf Fore the Cure, adidas Canada will provide uniforms for each site coordinator and National Event participant, a $100 online gift card for the leading fundraiser of each event and full outfits for the top-three fundraising teams at the National Event. adidas has a lengthy history of supporting recreational sport and we are thrilled to align their brand with Golf Fore the Cure. The Canadian Cancer Society funds only the best cancer research in Canada. Our researchers are working hard to learn more about what causes breast cancer so that one day it might be preventable, while others are finding new and better ways to detect, diagnose and treat the disease. The Canadian Cancer Society supports the broadest range of research projects directly and indirectly related to breast cancer in Canada. The work of Society-funded researchers is making a difference and saving lives. All of the funds raised through Golf Fore the Cure will be designated back to the provinces in which they were raised to help support Canadian Cancer Society-funded breast cancer research and programs and services for women living with breast cancer. On average, one in nine Canadian women will develop breast cancer during her lifetime and one in 27 will die from the disease. As we face this harsh reality there is hope. Breast cancer death rates have declined steadily since 1986 due to improved screening programs and treatments. These advances have been made possible, in part, through Canadian Cancer Society-funded research. For ten years, golf clubs in Quebec that participate in this program have donated over $850,000 to the Foundation. Events who support the Foundation can donate directly online and all funds raised are designated to the three province-wide branches available through the Foundation; research, awareness and support programs/initiatives. The Quebec Breast Cancer Foundation remains hopeful that it will accomplish even more, so that fewer and fewer people will die from this disease. The Quebec Breast Cancer Foundation is a registered charitable organization established in 1994 on the initiative of Pam McLernon. Its original name was the Montreal Breast Cancer Foundation. Initially, the Foundation’s objectives were to provide assistance to women with breast cancer and to support medical research on the disease. Our mission still encompasses those original goals, but has gradually expanded to include activities focused on breast health awareness and education. Since its inception, the Foundation, which became the Quebec Breast Cancer Foundation in 2003, has experienced remarkable growth, thanks to generous donations from its partners and the public. Today, we are proud to fund major research projects in Quebec, while continuing to encourage Quebecers to adopt healthy lifestyles, and to support thousands of breast cancer sufferers in their struggle with the disease. Since 1994, we have invested more than $23 million in research, education and awareness, and support programs. Thanks to the sustained generosity of people like you, the Quebec Breast Cancer Foundation remains hopeful that it will accomplish even more, so that fewer and fewer people will die from this disease. 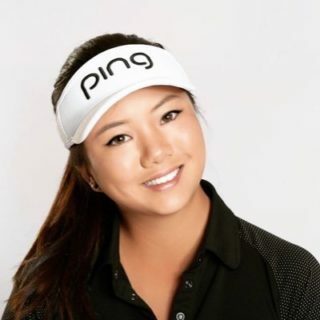 Golf Canada has created a team of Golf Fore the Cure presented by Subaru ambassadors which incorporates several personalities from the golf world, media and/or celebrities to build some additional support around the program. Please read below to learn more about each of our ambassadors. I am so proud to be partnering with Golf Canada’s Golf Fore the Cure presented by Subaru. Breast cancer affects so many women globally and it is a cause that is dear to my heart. I am honored to support breast cancer awareness and women’s health through the game that I love. “Support the fighters, admire the survivors, honor the taken and never, ever give up on hope”. Each Golf Fore the Cure presented by Subaru event will receive a FREE event kit from Golf Canada. In every event kit you will find contests provided by our partners that can be executed at your event, and prizing valued at over $300! Continue reading to learn more about our local and national contests. Are you the Safest Drive of your event? Subaru brings back their Safest Drive contest on a designated hole at your Golf Fore the Cure event. Each participant will compete off the tee deck to land closest to the Safest Drive target line down the middle of the fairway. The individual closest to the line at the end of the tournament will receive the Safest Drive prize courtesy of Subaru Canada! Each event will receive an adidas Retail Kit valued at $250 to use as additional prizing for your event participants! This kit includes an adidas Golf polo, skort, hat and tote bag! 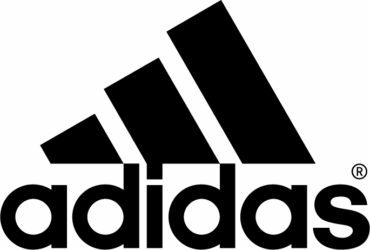 The lead coordinator of each event will receive a full uniform, consisting of a top (polo) and bottom (skort), to wear on your event day courtesy of adidas Canada! Please note that only one uniform will be allocated to each event. Every year, Golf Fore the Cure teams up with Subaru to bring our coordinators & participants from across the country a great experience by participating in a Golf Fore the Cure presented by Subaru event. This year all Golf Fore the Cure participants have the opportunity to be entered into a draw for an exciting trip for 2 – stay tuned for more 2019 contest details! 1. Provincial Event with the highest sum of donations (online & offline) gets to send one (1) foursome team. 2. Top Fundraising GFTC event receives one (1) foursome into the tournament. 3. Second top fundraising GFTC event receives one (1) foursome into the tournament. Please click here to view photos from our 15th Annual Golf Fore the Cure presented by Subaru National Event (held in 2018).